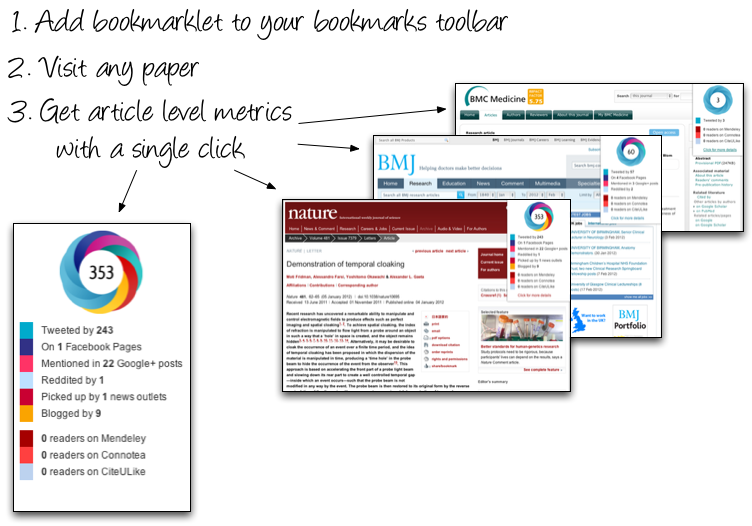 Want to find out the Altmetric details for a paper you’ve published? Install our free bookmarklet for Chrome, Firefox and Safari to view the online shares and mentions of an article with a single click. Are you a publisher? Don’t use this bookmarklet! We have much better tools for you, just get in touch. We’ve tried to make the Bookmarklet as straightforward and easy to use as possible. Below we’ve covered some common issues we know our users sometimes have, or you can visit our Support Forum for more information. Got the bookmarklet properly installed but finding it doesn’t work on some pages even though you can see a DOI on them? 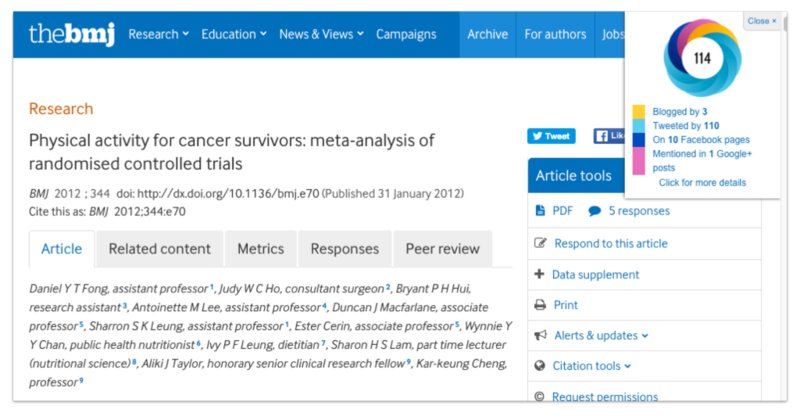 Try refreshing the page, highlighting the DOI with your cursor, and then clicking ‘Altmetric It’ again. Nothing happening when you drag the link to install the Bookmarklet? Confusingly, Chrome will let you drag the bookmarklet to the area where the icons for your extensions appear (to the right of the address box). This isn’t the bookmarks bar, which is normally underneath the address box and may be turned off by default. To fix this, go to the View menu and select “Always Show Bookmarks Bar”.If you can’t see a bookmark bar on Firefox, go to the View -> Toolbars menu and check Bookmarks Toolbar.